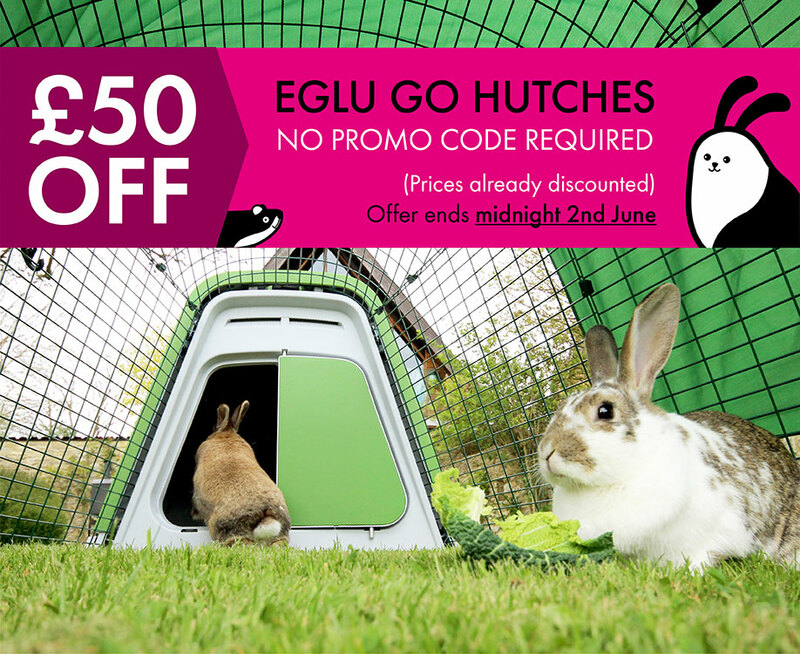 Right now there’s £50 off Eglu Go Hutches, making it the perfect time to upgrade your Rabbit’s house, treat your Guinea Pig to a stylish new home or think about getting a pet Rabbit or Guinea Pig for the whole family to enjoy. The Eglu Go Hutch is a dream to clean, they’re insulated and super secure, making them perfect for all-year use and Rabbits and Guinea Pigs will love being able to go in and out of the fox-resistant run as they please. No promo required, the discount will automatically be applied in the shopping cart. This offer will run until midnight on Friday 2nd June so hurry! Not in the UK? Don’t worry – The promo is running in France, Germany, Ireland, Italy, Netherlands and Spain too! PS – No promo required, the discount will automatically be applied in the shopping cart. The £50 off promotion is only available on Eglu Go Hutches for Rabbits and Guinea Pigs. Omlet reserves the right to withdraw the offer at any point. Offer is only valid from 26/5/17-2/6/17. Offer is subject to availability. Offer cannot be transferred to any other Omlet products. « Win with Omlet’s Great Easter Egg Hunt!